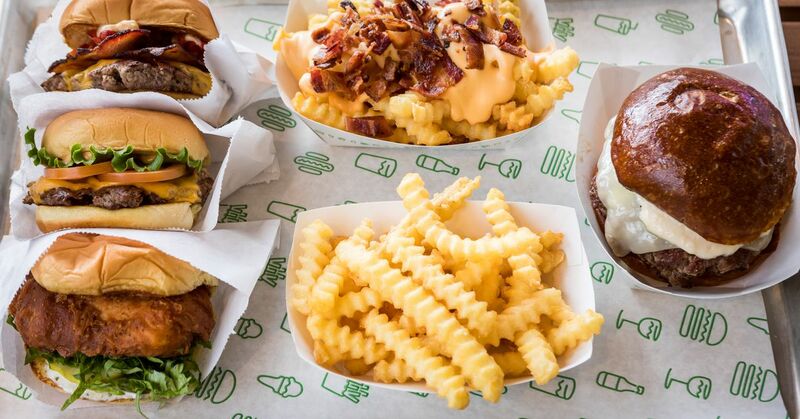 The second Bay Area location of the New York-based, often cursed, burger chain Shake Shack opens this Wednesday, March 27, in Marin County. The new Larkspur location is tucked into Marin Country Mart, already a foodie playground, at 1401 Larkspur Landing Circle. And if the jaw around the opening of the first Bay Area Shake Shack location in Palo Alto is any indication, right now it might be a good time to get a seat in the queue. The new Shack is 2,796 square feet and has a multi-level deck to accommodate the dining room hordes. There they order Shack classics like crinkle cut frites, ShackBurgers and frozen Custard Concretes, as well as some new stuff, culinary instructor Mark Rosati whipped up the area especially with local purveyors front and center. 1; and will probably also be in a San Francisco Shake Shack location in the Marina Works. But for something completely new, customers in Larkspur can try two Marin-specific concrete: Mount Tam Graham (Chocolate Custard, Marshmallow Sauce, Graham Crackers and Dark Chocolate Piece from Dandelion Chocolate) or a Larks-Brr (with vanilla Custard, marshmallow sauce and "crispy crunchies"). The Bay area has long been Shackless, a fact that could explain a local fascination with the chain, whose 210 domestic sites span 26 states, with 70 more locations around the world. "We know it has taken us a long time to come here," Rosati Eater told SF in the fall. "We'll make it worth the wait." This waiting time is probably great on Wednesday: In the future, hours on Shake Shack Larkspur will be at. 11 to 10 p.m. Sunday to Thursday and at. 11 to 11 Friday and Saturday.